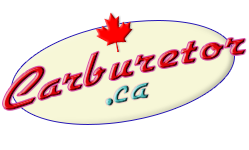 Canada's source for quality carburetor rebuild kits, choke pull offs, choke coils and floats. Click on a link below for more information or to order. They appear here for identification purposes only. No endorsement by the trademark owners is to be construed. All prices are in Canadian Dollars.